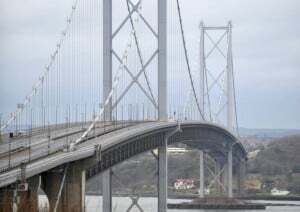 The Freight Transport Association (FTA) has welcomed the impending full reopening of the Forth Road Bridge to all traffic, which is scheduled to take place on Saturday (February 20th). Carrying more than 70,000 vehicles per day when fully operational, the bridge has been closed to heavy goods vehicles since the start of December last year and it is therefore a very positive development that this ban is to be lifted in the coming days. However, while this is extremely welcome news, the FTA was also quick to point out that the closure of the bridge has resulted in serious financial implications for many businesses. FTA head of policy for Scotland Chris MacRae said: "While this is fantastic news for freight operators, we must not forget that the closure caused severe disruption at the worst possible time of year. The financial impact for some operators was devastating. "Ironically, they will now have been scheduling work in anticipation of the bridge reopening in mid-March and will have to change their plans again, with [further] financial consequences." He added that hauliers who would regularly have used the bridge over recent months have reportedly seen additional costs of up to £11,000 per week, due to extra fuel requirements, delays and the need to detour to alternative routes. Mr McRae therefore concluded that "lessons must be learned about the importance of maintaining critical national infrastructure", as this is a situation that cannot be allowed to be repeated in the future.